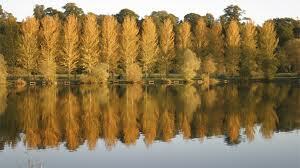 Set in Worcestershire countryside, Larford Lakes is a complex that boasts 3 lakes and a stretch of the River Severn. 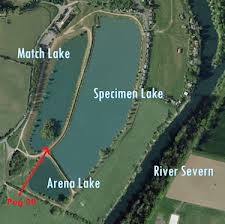 The Lakes are the Match Lake, Specimen Lake and Arena Lake. 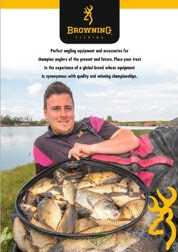 The Lakes all contain a high stocking level of F1s, Carp and a massive head of silver fish. After an overnight stay in Stourbridge, we had a 25 min morning drive to the fishery, which was far better than the 3 hours it would have taken us had we travelled from Hull. On arrival at the Fishery, we were lucky to get parked, as most teams were already there. In total 17 teams of 4 were participating in the match. 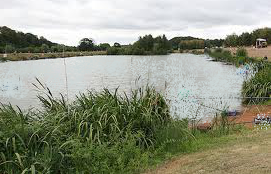 The Match was to be split over 2 lakes, the Match Lake and the Specimen Lake, with 2 anglers on each. 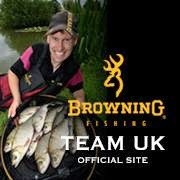 Prior to setting off we had already decided which anglers were on which lakes, due to us been allowed to place anglers. Myself and John Holness were going to fish the Match Lake, leaving Ian and Tony Ralph on the Specimen Lake. This was decided due to Ian and Tony been bloody good at catching big lumps, which the Specimen Lake is renowned for. At the draw I picked the envelope, which gave us pegs 28 on the Grass bank of the Match Lake, Peg 52 on the Burr bank of the Match Lake, Peg 19 on the Burr bank of the Specimen Lake and peg 62 on the Chalet bank of the Specimen Lake. To be perfectly honest we didn't have a clue if these were good pegs or not, as this was the first time all 4 of us had visited the fishery. When I arrived at my peg, I was fairly happy, the peg was situated pretty much middle of the bank, which gave me plenty of open water to go at. The margins looked very fishy with bushes and reeds to each side. The only problem with the peg was it was 4 inches under water, but so was nearly every peg on this bank. After a quick phone call to Nick Worrell, (one of the Browning Representatives) who gave me some info on how I would need to approach fishing the lake, I came up with a plan of action. I was going to fish 8mm pellet on the bomb and also fish a shallow pellet waggler on the same line. I plumbed up a pole line at 13 meters and also set up a shallow rig for the same line, for this line I would feed 6mm pellet. I plumbed up a line at 6 meters, which I would also feed with 6mm pellet. The final line was the margin to my left, as this gave me the shallowest water at around 18 inches, perfect for feeding loose groundbait and dead red maggots. On the all in, I fired out 3 x 8mm pellets to give me the distance for fishing the bomb and pellet waggler. I then fed a small amount of 6 mm pellets via a pole cup on the 13 meter line. My plan was to start on the bomb and feed 2 or 3 x 8mm pellets every 20 to 30 seconds. After a biteless 10 minutes I started to notice movement in the surface layers after feeding the pellets. A quick change to the pellet waggler resulted in 2 decent F1s in 2 casts, then nothing. After a fair few casts I switched back to the bomb, all the time constantly feeding. After about 5 minutes the tip finally pulled round and after a short battle a 3rd f1 was in the net. I recast the bomb and gave it another 10 minutes, but the tip remained motionless. It was now time to give the 13 meter line a try; I started firing 10 x 6mm pellets every 30 seconds over this line as well as constantly feeding the bomb line. (A second set of arms would definitely come in useful!). The 13 meter deck rig remained biteless, but the float started moving about after feeding, indicating the fish were up in the water. A switch to the shallow rig resulted in an instant bite, and another decent F1. Had I finally got the fish to settle? The answer was no; yet again a biteless 10 minutes! I now knew it was going to be a case of picking up a couple of fish then swapping lines, in an attempt to keep fish coming. Even this theory was proved wrong as the next hour only produced 2 fish. With 2 ½ hours to go it was time to fill the edge in, so in went 10 pots of loose ground bait and dead red maggots. I left the line for 30 minutes before trying it, in which time none of the other lines produced a fish. On the first drop in, on the margin line, with a big bunch of maggots on the hook, the float buried, and a stream of elastic soon followed. After a 10 minute battle a Carp around the 8lb mark was safely netted. I thought I would try my luck again down the edge, amazingly the float buried instantly and again I was connected to a proper lump. Another Carp around the 8lb mark was safely netted after a 5 minute tug of war. Could it be third time lucky? ......You guessed it, not a touch! I fed 5 more pots of groundbait and maggot before trying the bomb again. I picked up 2 small but hard fighting Carp on the bomb and 1 on the pellet waggler before trying the edge line again. This time no bites emerged. With 30 minutes to go I tried the shallow pole line; and I am glad I did as nearly every put in to the end of the match resulted in a fish. At the weigh-in the scales arrived and I weigh in a hard earned 58lb 12oz, which was enough to win the 17 man section by over 20lb. I knew John had done well in his section as he weighed in 87lb, but we was not sure how Ian and Tony had done in there sections. Ian weighed in 39lb and Tony 19lb. This was due to how spread out the sections were. We made our way to the café for the results, the hosting team had organised a lovely buffet, which was much needed. We then did the results, firstly I had won my section, and John came third overall. I will be honest we had no clue we had won, and when the result was read out, we were over the moon. A cracking effort, especially as this was our very first visit to the venue.